A statue of Michael Jackson has been removed from Britain’s National Football Museum following new accusations of sexual abuse against the singer. 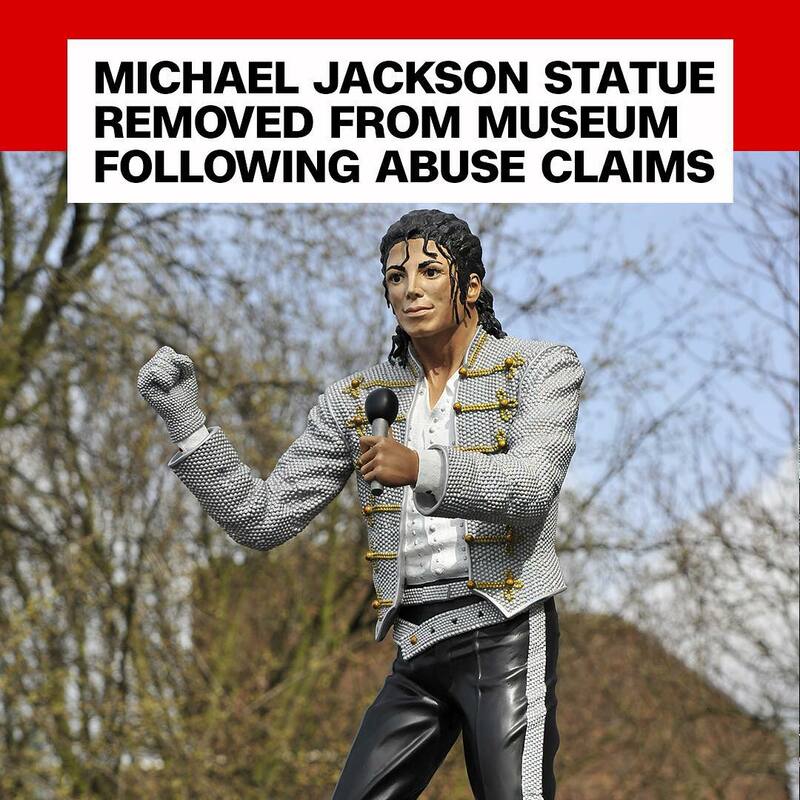 Although the museum in Manchester, England, didn’t explicitly connect the statue’s removal to allegations against Jackson, the fallout from the “Leaving Neverland” documentary has prompted some to boycott his music. In the documentary, two men accuse the pop star of sexually abusing them when they were children. Jackson’s family has pushed back against the film, calling it a “public lynching.” The musician’s estate is suing HBO, which co-produced the documentary. HBO shares its parent company, WarnerMedia, with CNN.